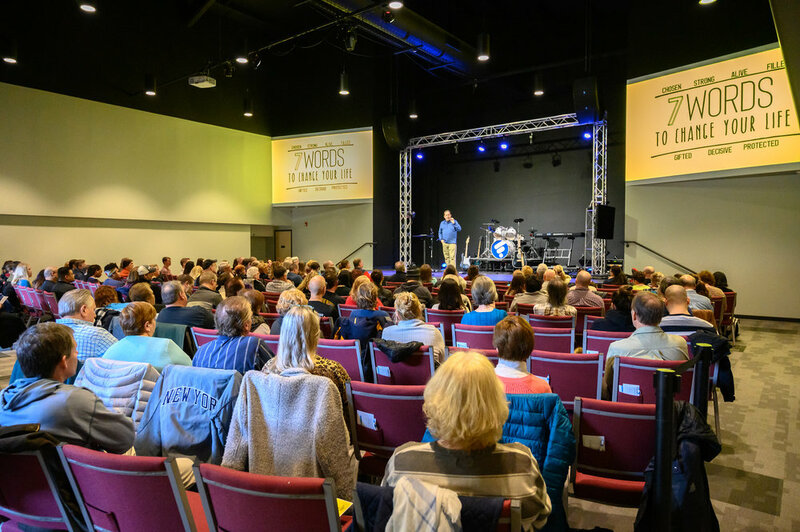 As I thought of the many ways I’d like those who attend Fellowship Church to pray, I thought of so many areas where we may not be praying enough. For those of you who attend here frequently, you know that our biggest prayer here is for people to first accept Jesus Christ into their heart, then secondly, move closer and closer to Him (up and to the right). As part of this prayer, we hope everyone who has been attending for a long time and already knows Jesus to be welcoming and patient. You go into a church for the first time and everyone you see is already in conversations. They’re in their circle and not coming out. You go all the way through the Atrium, Coffee Bar and into the Auditorium with not even a greeting. Maybe you enjoy the message but you’re not sure you want to return to the stuffy atmosphere. Jesus is all about others. We need to work at it. The patience comes with understanding the tensions that come with more people coming here each week to FC. Yes, it may get crowded and tougher to get a seat at times but what’s the other option? “I’m glad you asked”. The other option is we stay comfortable with the handful of people around us, keep attendance low so we can get our regular seat, request our favorite worship songs, get old together as a church and die together as a church. Listen older people, we want younger people attending here. Listen younger people, we want older people attending here. We want all ages, all types, the good, even the bad and the ugly (Don’t call them that). We want those who are at rock bottom, those that society won’t accept, those who feel as though lightning will strike if they enter this building because this is how Jesus rolled. heal those hurting and renew anyone’s life. We know because we’ve seen it over and over. We want all walks of life, no matter the gender, race, current belief, or social status. Jesus welcomed everyone, so will we. Our prayer is that everyone will always feel welcome here. This is why we do FC Groups. We believe it’s so important to be around others as they grow as well. We believe in the whole ‘circles not just rows’. On Sundays, we sit in rows and listen to a message. During the week, we sit in circles (in groups) and discuss what we’re learning. Building relationships with like-minded people is so important. It’s in these relationships where we can be inspired, motivated and encouraged. We also learn more about our faith and have opportunities to ask questions, have people pray for us and slow down the business of life for one hour a week. I met some of my closest friends in an FC Group. I’m so thankful for this church and the many people here that ‘get it’. I love all of you who serve here. I love all of you who go out of your way to welcome others. I love the many of you who give each week knowing you’re making a difference. I love those of you who just started coming out and your intentionality to come each week. I love those of you who took a chance and tried us out. I’m praying you come back. Lastly I’m praying for those of you reading this that do not already belong to a local church to come check us out. Would you please take some time today to pray with us?